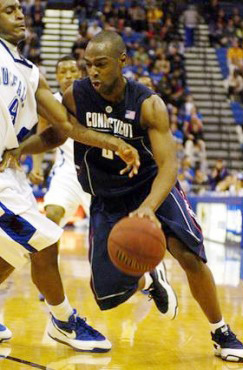 Craig Austrie was a Guard for the UConn Huskies from 2005 – 2009. He played a key role in leading UConn to the Final Four of the 2009 National Collegiate Athletic Association (NCAA) Tournament. He was a player on the 2005 team that won the Maui Invitational Tournament Championship. 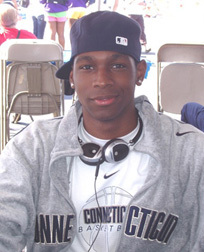 Craig was the Gatorade Connecticut High School Basketball Player of the Year his senior year in high school, a great in-state player that stayed in-state to play in college. 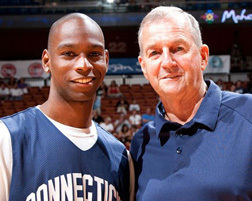 I had the pleasure of talking to Craig in August 2010, about his basketball memories, and his first year of basketball post UConn. Since UConn Craig spent some time playing in the National Basketball Association (NBA) Development League for the Springfield Armor. He still has hopes of maybe playing in Europe or in the National Basketball Association (NBA). In the meantime he has opened his own business, Craig Austrie Basketball I Q Skills. 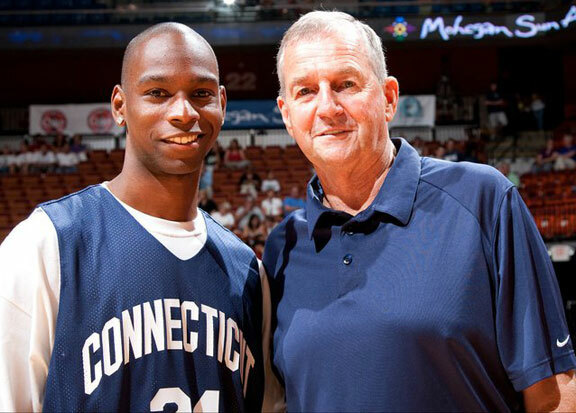 “I’m training young kids that have a dream to play at UConn one day or any other program. I want to help them.” If interested go to www.craigaustrie.net for more details. Craig is engaged to Heather Coombs. They met while he was at UConn but she was from Southern Connecticut State University.